EPTE® is a device designed to administer Percutaneous Electrolysis Therapy, a groundbreaking technique for treating tendinopathies. EPTE® is fast and effective, with the patient experiencing minimal discomfort during a treatment. 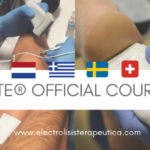 EPTE® refers to the device that delivers Percutaneous Electrolysis Therapy to the damaged tissue, as well as the treatment delivered through the EPTE device. What are the benefits of using EPTE®? Superior success rate. 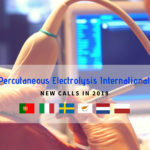 Clinical studies and growing experience show that Percutaneous Electrolysis Therapy is fast and effective in a significant majority of tendinopathies. Better than other modalities of treatment. The EPTE® technique is being shown to be very effective compared to other conventional forms of physiotherapy (ultrasound, laser, shock waves) or medical treatment (drugs, injections or surgery). Minimal pain involved. Other than insertion of the acupuncture needle, there is no pain for the patient. What is the science behind EPTE® treatment? Treatment with Percutaneous Electrolysis Therapy involves applying a direct, modulated electrical current through an acupuncture needle to the damaged soft tissue. The electrical current initiates a process of electrolysis in the injured interstitial tissue, converting salt and water into hydrogen, chlorine and sodium hydroxide. The sodium hydroxide causes a highly localised inflammatory response that stimulates the phagocytosis needed to regenerate healthy tissue. EPTE® is a local treatment at the site of the injury. It is applied directly to the degenerated and/or altered tissue. EPTE® sets in motion a process of self-repair to the damaged tissue, without affecting healthy tissue. 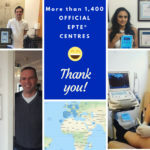 EPTE® has a high success rate compared to other conventional modalities of treatment (ultrasound, laser, shock wave etc) and other types of treatment (drugs, injections, surgery). In most cases, treatment does not require an extended break from the sport or activity that caused the injury. EPTE® treatment is generally compatible with light workouts and low intensity exercise. What is involved in treating a patient using EPTE®? EPTE® treatment involves applying a direct electrical current to the damaged soft tissue (tendon, ligament, muscle etc) through an acupuncture needle. The current causes a process of electrolysis within the damaged tissue, breaking water and salt into its constituent elements to then regroup and form new substances including sodium hydroxide and chlorine gas. EPTE®’s intensity modulator (μA/cm2) produces an electrical stimulus that causes the destruction of the degenerated soft tissue and induces an inflammatory response. This reaction allows phagocytosis to take place without affecting healthy tissue. In other words, treatment with EPTE® destroys damaged tissue without affecting the surrounding healthy tissue – because the degenerated tissue has a lower resistance to the flow of electrical current and is therefore more easily destroyed. The biological effect of the application of electrical current to the damaged tissue is that an inflammatory reaction takes place. This reaction is necessary to reactivate the process of tissue regeneration, through the process of neoangiogenesis (formation of new blood vessels). This is required for the recovery of the tendon tissue. Average EPTE® treatment will consist of a series of sessions, or EPTE® applications, spaced weeks apart, and each lasting less than 2 minutes. What injuries can be treated with EPTE®? Studies credit EPTE® with superior results in the rehabilitation of tendon injuries, broken fibres, plantar fasciitis, shin splints. What types of patients benefit from treatment with EPTE®? EPTE® is effective for the treatment and recovery of tendinopathies in all patients, ranging from people with sedentary lifestyles right through to elite sports people. EPTE treatment is a great way to speed to the recovery of tendon and muscle injuries, whether the injuries are incurred in the professional sporting arena or everyday life. How and when should the EPTE® treatment be applied? For best results, EPTE® should be applied within 48 hours of incurring the injury. It is in this critical period that fibrosis begins. A compression bandage can be applied after an EPTE treatment, however do not prescribe anti-inflammatory drugs after EPTE treatment has commenced. EPTE® is most effective when combined with eccentric exercise. When is treatment with EPTE® not advisable? Is EPTE® treatment all that is needed for a full recovery? No. EPTE® causes regeneration of damaged tissue, but the patient’s full recovery requires completion of a complementary program of eccentric exercise after each EPTE® session. How much does EPTE® cost? How can I buy EPTE®? If you are interested in purchasing EPTE®, please Contact us or email us at info@ionclinics.com. 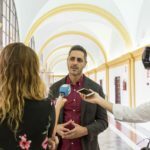 Envíanos un correo y te explicamos cómo. What if I have a problem with my EPTE® device? How do I find out how to use the EPTE® device? Your EPTE® device comes with a comprehensive user manual. Your EPTE® purchase also includes comprehensive Professional Development Training covering the theoretical and practical aspects of treating tendinopathies with EPTE®. Does EPTE® treatment require the use of ultrasound? No. Using ultrasound is not essential for applying the EPTE® technique, provided that the EPTE® device is being used by a qualified physiotherapist with the requisite professional knowledge of the muscles and tissues of the human body. However , sometimes it can be useful to perform a EPTE® ecoguide to check the severity of the injury, improve the accuracy of puncture or watch lysed properly. What care and maintenance does the EPTE® device need? We recommend switching off the EPTE® device at the end of each treatment session, and removing the cables from the connectors. The equipment should be stored in the case provided along with all accessories. If you don’t plan to use the device for a period of several months, or if the batteries are more than twelve months old, we recommend removing the batteries or replacing them. This prevents spilling of the battery electrolyte, which is corrosive and may damage the EPTE® device.